Think of this episode as a bit of a myth buster. Answering the questions you didn't even know you had about a language that you didn't even know still existed: Maya. Click here to watch the sister video to this podcast episode. To keep track of future episodes in video form, click here to subscribe on YouTube. The best thing you can do right now to support the project is threefold, and if you've ever listened to any podcast before, I'm sure you'll be familiar with what I'm about to say! Subscribe - by subscribing to the Language Stories podcast in your favourite place and YouTube for the sister videos, you're going to keep up with all future episodes. Woop! Review - when it comes to the tech stuff, reviews are pretty important. Reviews help to tell iTunes that people like the podcast, and that helps to raise the profile so that new people can find it easily. Yay! Tell a friend - word of mouth still wins! If you know someone who would love Language Stories, tell them about it. And if they're new to podcasts, walk them through the process to subscribe them. Woohoo! To make it as easy as possible to share the podcast, click here to tweet about episode. If you have a Language Story you’d love to share, or if you know someone that does, get in touch. I always love to hear from you! Your feedback helps to shape future episodes so thank you. 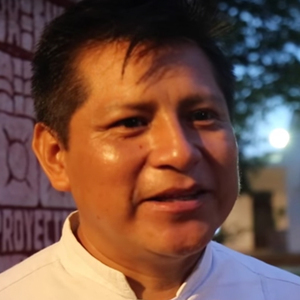 Ko’one’ex kanik maaya - the project in the region teaching Yucatec Maya in schools. Xiimbal Kaaj - my favourite Pat Boy song featuring Yazmín Novelo, who also volunteers with Radio Yuuyum. 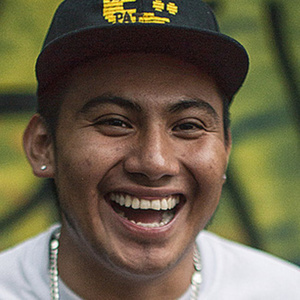 ADN MAYA - Pat Boy's record label YouTube channel. 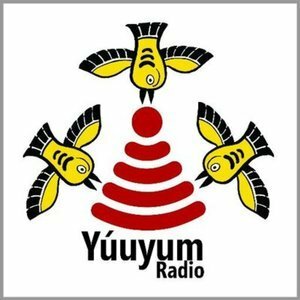 Radio Yuuyum - check their official website to see everything going on! Global Voices - an article about Radio Yuuyum.